The AV32.1 is a complete high-performance sound system that delivers deep, lifelike, full-range sound. It is ideal for use with TVs, computers, portable music players or any device that has analogue, digital (optical) or TRS outputs. 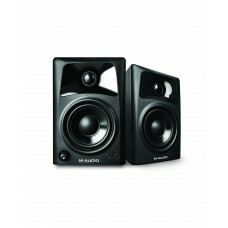 The system is comprised of two compact speakers and a powerful subwoofer. The speakers each use a 3-inch high-definition polypropylene driver for accurate midrange reproduction and a 1-inch soft-dome tweeter in M-Audio’s exclusive OptImageTM IV Waveguide for pristine highs and precise acoustic imaging. 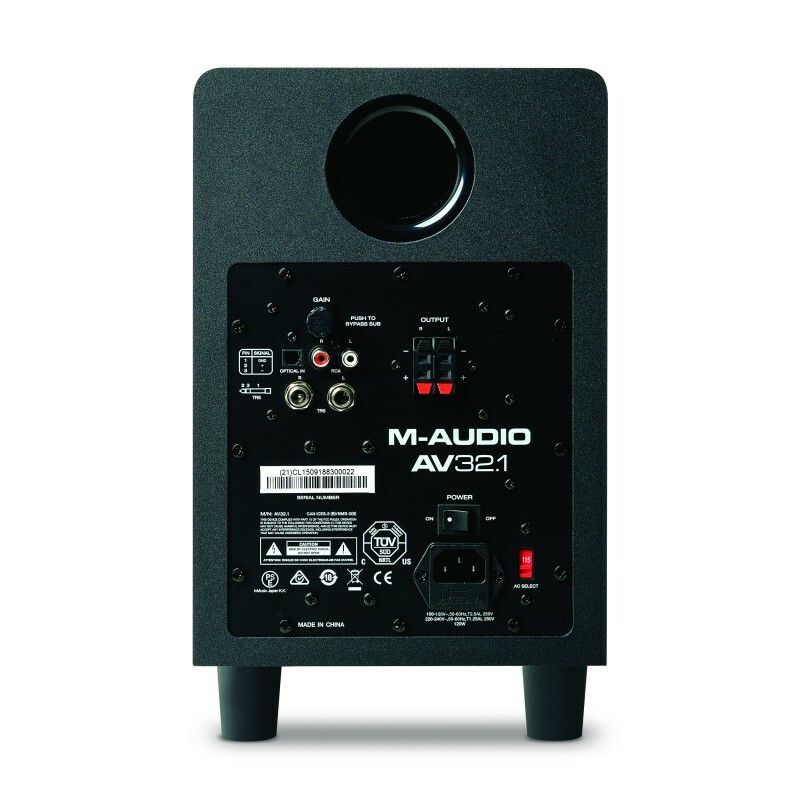 The AV32.1 subwoofer has an internal custom-equalised amplifier with a down-firing, long-excursion 6 1⁄2-inch woofer that delivers high-impact bass down to 36Hz (-3dB). 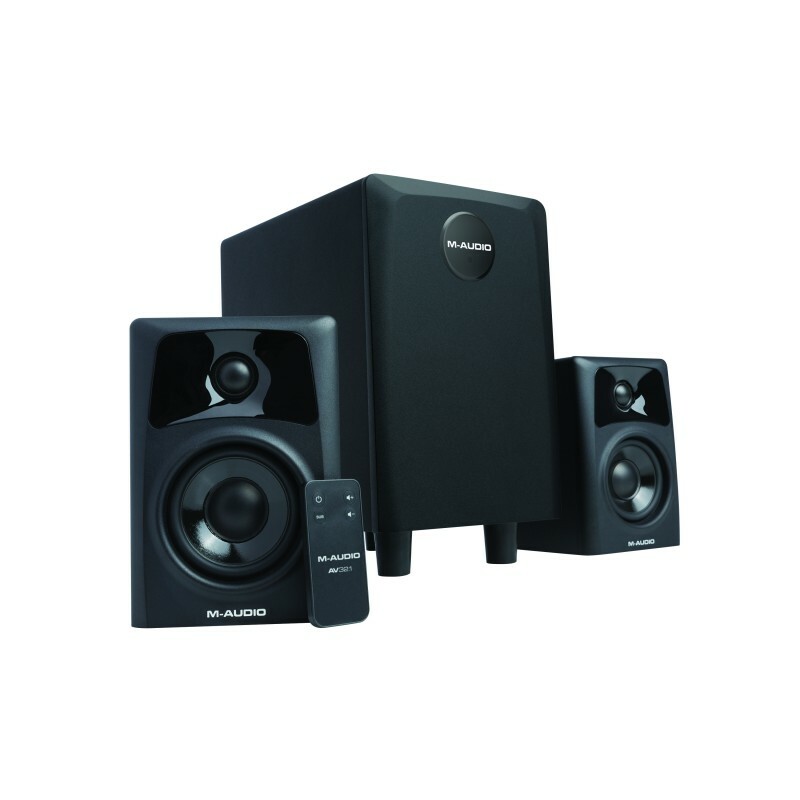 Completing the system is a compact and convenient remote control that powers the system on or off, adjusts the volume and provides a sub bypass option. 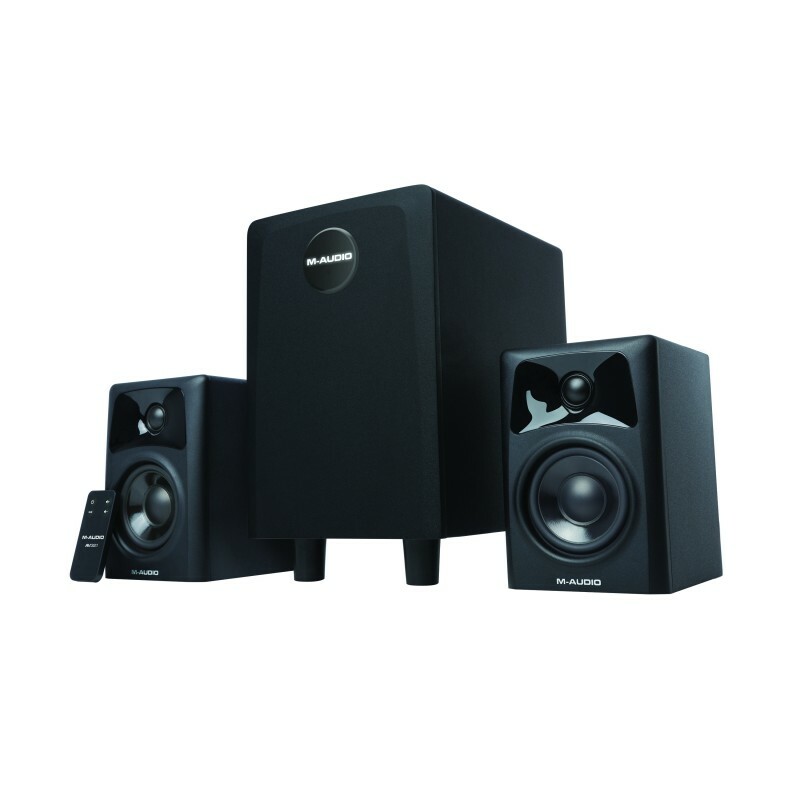 AV 32 Two-way Desktop Reference Speaker PRODUCT OVERVIEWUpgrade your sound with the AV32 monitor spe..
AV 42 Two-way Desktop Reference Speaker PRODUCT OVERVIEWUpgrade your sound with the AV42 monitor sp..